Benedict XVI underlines that the destiny of every man is to become “similar” to His creator. Reflections also on the commemoration of the faithful departed, who the Church celebrates tomorrow November 2nd. Vatican City (AsiaNews) – Sainthood is not a “privilege” reserved to “the elected few”; “becoming a saint is the duty of every Christian, what’s more, of every human being!”. 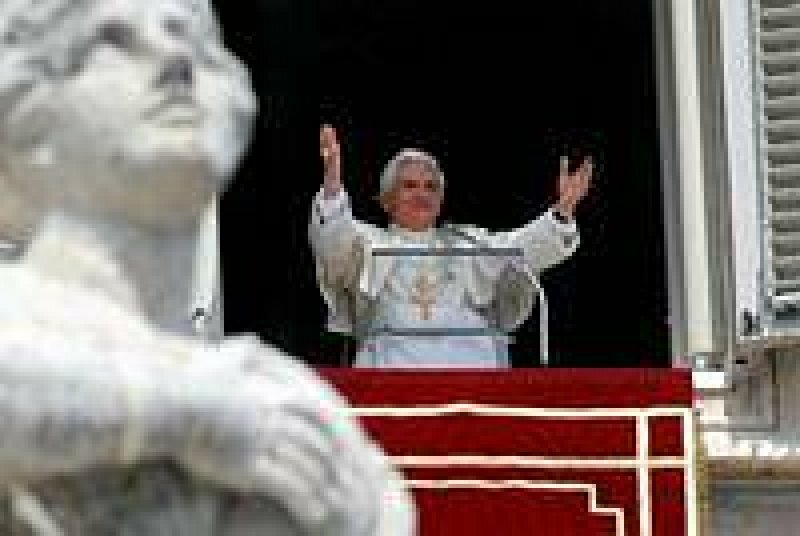 On the day the Church celebrates the feast of All Saints, before reciting the Angelus Prayer with pilgrims in St Peter’s square, Benedict XVI explained sainthood, often considered to be a moral ideal attainable to very few, or even as a something defunct and useless for mankind of our day. “At a very basic level – the pontiff explained – [holiness] lies in living as sons and daughters of God, in the “likeness” of He who created us”. And he added: “All human beings are children of God, and everyone must become what they are, through the exacting journey towards freedom. God invites us all to belong to his holy people. The “Way” is Christ, the Son, the Holy of God: no-one reaches the Father if not through Him (cfr Gv 14,6)”. The pope also recalled that “at the very beginnings of Christianity, the members of the church were called ‘the saintly’, indicating the reality and the destiny of all faithful: “a Christian, in fact is already holy, because Baptism unites him to Christ and to the Pascal Mystery, but at the same time he has yet to become holy, by conforming himself more intimately to Christ”. This feast, which helps “our heart” to overcome “the confines of space and time” to the “heavenly dimensions”, is closely linked to the Commemoration of all of the Churches’ faithful departed, the day – celebrated on November 2nd – when the church throughout the world dedicates its prayer for the souls of the dead. “Our prayers in praise of God and of the blessed spirits, who today’s liturgy presents to us as ‘great multitude, which no one could count, from every nation, race, people, and tongue’ (Rv 7,9), unite themselves to our prayers in suffrage of all of those who have gone before us from this world to eternal life. Tomorrow we will dedicate our prayers to them in a special way and we will celebrate the Eucharistic Sacrifice for them. In truth, every day the Church invites us to pray for them, to offer us our daily fatigue and sufferance so that, completely purified, they are admitted to enjoy the eternal light and peace of the Lord”. Benedict XVI recalled the attention of the many faithful gathered in prayer beneath the rain, to the fact that “at the centre of the assembly of the Saints, shines the Blessed Virgin Mary, ‘humble and high, more than a creature’ (Dante, Paradiso, XXXIII, 2)”. “Placing our hand in hers – the pontiff concluded – we feel animated to continue with renewed zeal on our journey towards sainthood. We entrust our daily commitment to Her and to Her today we also entrust our prayers for the faithful departed, in the intimate hope that one day we will find ourselves gathered together, in the glorious communion of the saints”.